New York City Mayor Michael Bloomberg. Mayor Michael Bloomberg's money managers invested more than $75 million of his money in offshore tax havens in 2009, according to his philanthropic foundation's latest tax forms, continuing an activity seemingly at odds with his public statements about the economy. The practice is not uncommon or illegal, but it clashes with Bloomberg's oft-repeated message that New York City and the nation depend on tax revenue to keep government running. The Bloomberg Family Foundation's 2009 tax forms were filed to the state Monday after two extensions. 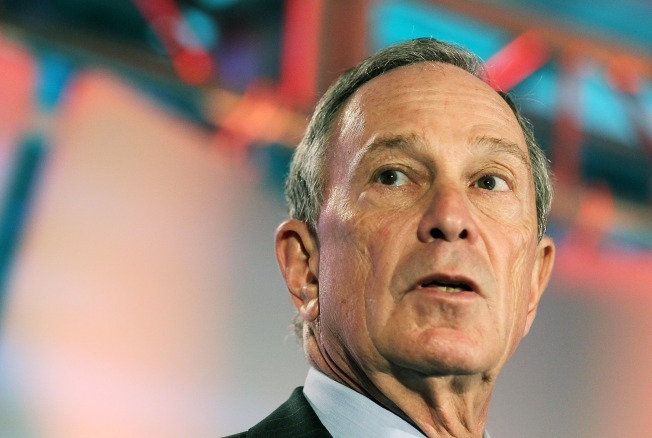 Bloomberg's foundation, which gives away hundreds of millions of dollars, has maintained offshore investments for years — typically more than $100 million annually — but that only came to light earlier this year. Bloomberg spokesman Stu Loeser declined to comment on the latest foreign investments. When first confronted with questions about the investments last spring, Bloomberg defended the tactic but said he has no control over the money. His investments are maintained in a blind trust that prevents him from knowing his specific holdings to guard against conflicts of interest. "As far as I know," he said last spring, "the investments that my money managers make are perfectly legal, they're fully disclosed and they're appropriate to maximize the assets which I'm giving away to charities." The mayor signs his own tax forms, which clearly list the offshore investments. The 2009 forms also show a change in the amount of time Bloomberg and his first deputy mayor, Patricia Harris, report handling foundation business. On previous years' tax forms, both have claimed 15 minutes a week; on the 2009 forms, Bloomberg said he spends 2 and ½ hours a week and Harris says five hours a week. Harris obtained permission from the city's conflicts of interest board in 2008 to handle Bloomberg's philanthropic work, but the city has never disclosed how much time she spends on those pursuits. Bloomberg, whose wealth is estimated at $18 billion by Forbes magazine, has aggressively ramped up his giving in recent years, establishing a foundation headquarters on Manhattan's Upper East Side, with a full-time staff handling the giving. The forms show the foundation's assets at $2.2 billion in 2009, up from $1.8 billion in 2008. The 2009 foreign investments include a $12 million transfer to an offshore fund in the Caymans, $15 million to another in Bermuda, $412,000 to a fund in Mauritius and $106,000 to a Cyprus-based fund. There was also a transfer of $175,900 to a fund with an address at what is known as the Ugland House. The Cayman Islands building was singled out as a notorious offshore tax vehicle by the Government Accountability Office in a 2008 report. The address is used by 18,000 companies, the Government Accountability Office said.